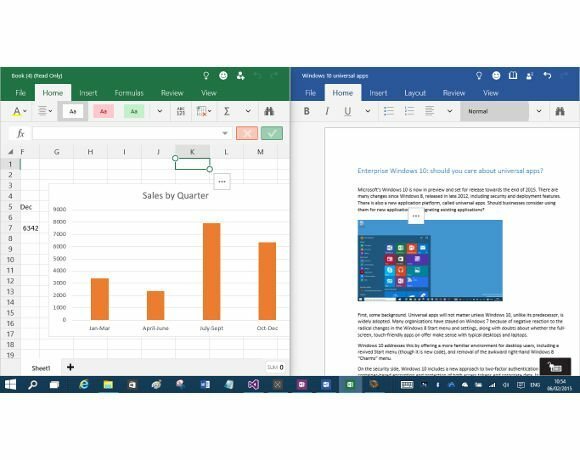 This is a universal app versions of Word and Excel running in Windows 10. Universal apps are so called because they run on more than one kind of Windows device, including phones, tablets, desktop PCs, Xbox One console and even embedded devices, such as Raspberry Pi 2. A unified Windows Store means that developers can sell an app once, with users able to install it on phones, tablets and PCs.